I asked for some new professional development book recommendations on Instagram last week and y'all did not disappoint! I promised I would share what everyone suggested and then show you what I picked up for myself to read this summer. I had never heard of this one until several of y'all suggested it to me and then I started researching it. When I saw that Donalyn Miller, the author of one of my absolute favorite PD books, had written the forward, I knew I had to check it out. I'm starting this one first because I am so excited about it. I really want to focus on making the most of my classroom library this coming year and I think this book will be a great read. And how cute is the cover?? This one is written by Hope and Wade King, so need I say more?? 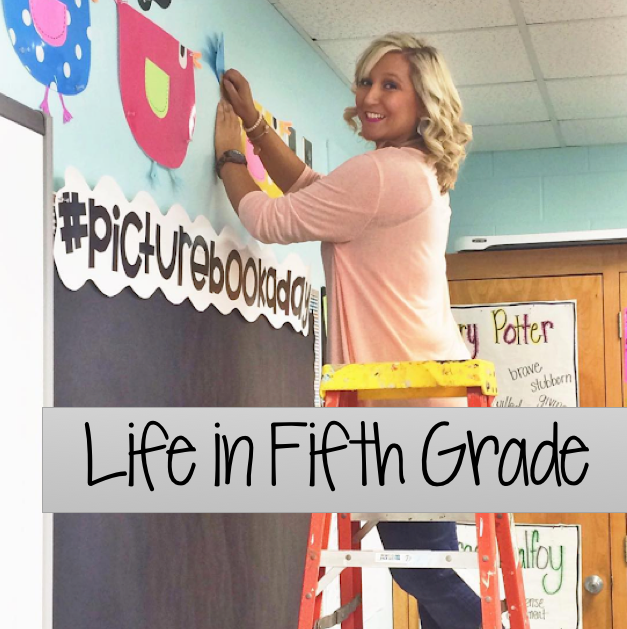 Hope is one of my teaching role models, and I cannot wait to read about how she "sets the stage to engage". If you don't know who Hope and Wade are, make sure to check them out on Instagram because you will be blown away at their creativity. So inspiring. I almost didn't pick this one up, but then I looked at the reviews and I just couldn't resist. I love a good guided reading professional development book and I have high hopes for this spiral bound text. This book was the #1 most recommended book when I asked y'all on Instagram. SO many of y'all told me to get this one, so I listened! Now that I've showed y'all the new books I'm planning to read this summer, I thought I would also share some of my holy grail, must have teaching books that I use every single year. Hands down the BEST professional development book you'll ever invest in. The book is FILLED with different reading strategies for comprehension, fluency, vocabulary, and more! It's so user friendly and easy to read. I have so many sticky notes in this book. I'm even thinking of getting another copy to leave at school because I bring this book with me every day. I cannot recommend this one enough. So so good. I read Reading Magic last summer and it really opened my eyes to the importance of reading aloud to children and how it can change both their outlook on reading and their reading ability itself. So eye opening. If you're on the fence about reading picture books to older kids, read this one. It will convince you that it's a must. I read this one the summer I moved to fifth grade and I am so glad I did. It changed the way I thought about teaching reading and how I wanted to teach the subject in my classroom. I would recommend this one a thousand times. It is beyond enlightening. I have written countless notes in the margins of this book and highlighted so many parts. Donalyn Miller also wrote a follow up to this one called Reading in the Wild and it's equally as good. A Must read! This one is a bit older and there's already an updated 3rd version, but I have this edition and I really love it. 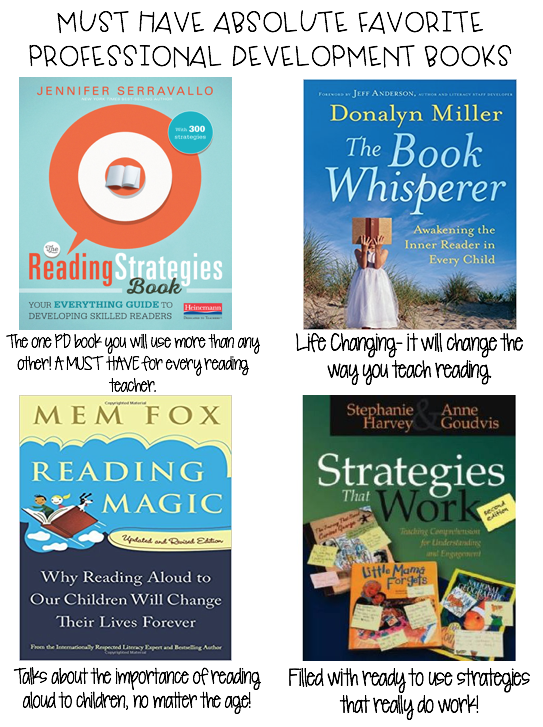 I would say it reads like The Reading Strategies Book and although I like that one better (it's easier to use), this one has some great strategies that I use all the time! It's a classic that is tried and true! I'd love to hear your favorite professional development reads! Let us know so we can get even more ideas. 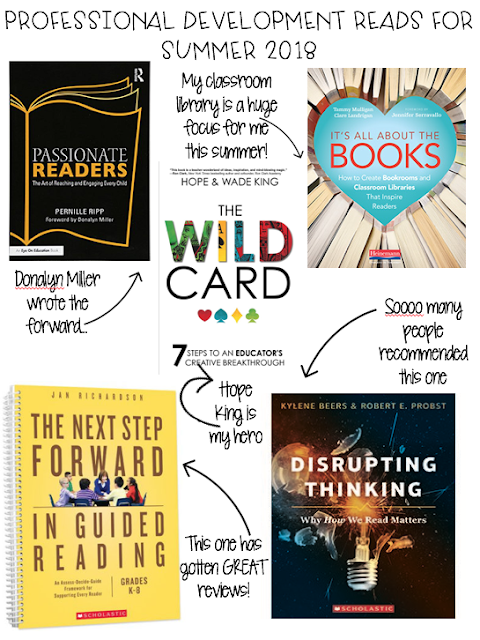 I'm also going to be doing a book study on one of these PD reads this summer like I did with Word Nerds three summers ago, so if you want to join in, let me know! I would like to join in the book study!